Advantech’s new 15″ TCP-1582H touch-panel computer is the first of its type to feature the much heralded iDoor Technology, a faster low power processor and a multitude of IO ports. The TPC-1582H is the first in the TPC range to use Intel’s 4th Generation Core i3 processor, which provides an additional 15% increase in speed compared to 3rd Generation processors and faster also refreshes graphic images 30% faster. All of these benefits are achieved while maintaining low power consumption and enhanced reliability. Advantech’s new Embedded Automation Computers, UNO-2174A and UNO-2178A, feature the low power consuming Intel® Atom™ N450/D510 processors and built-in 2G DDR2 RAM. They come with a variety of I/O modules, including up to 8 x serial ports, 2 x GbE ports, 6 x USB 2.0 ports and 1 x printer port. 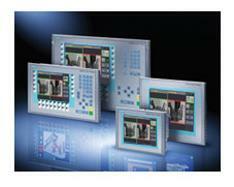 Unitronics OPLC is a high-performance PLC and HMI integrated into one seamless device. The PLC handles multiple I/O via snap-in and expansion modules. Advanced communication options include GPRS, SMS, Ethernet, MODBUS and CANbus. The HMI displays are available in touchpanel , color touchpanel, graphical and LCD with keypad. VisionView CE software can now be licensed and installed directly onto Rockwell and Siemens CE panels, allowing end users to use existing equipment and thereby reducing monitor clutter. 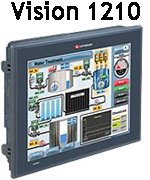 VisionView CE software now offers users seamless integration with factory floor HMIs by allowing them to run VisionView on their own Rockwell and Siemens CE panels.